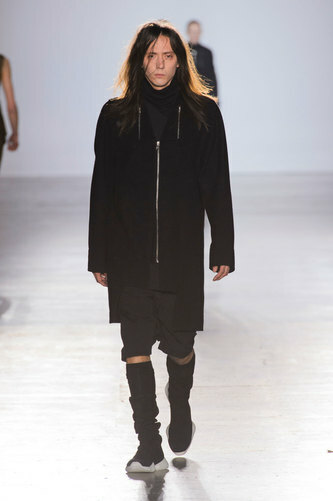 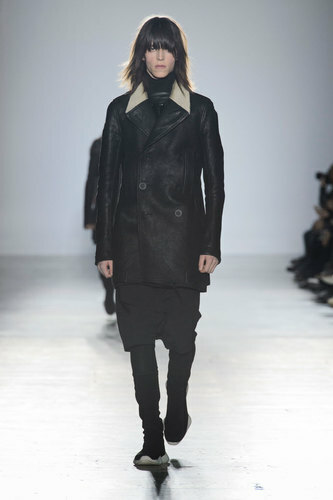 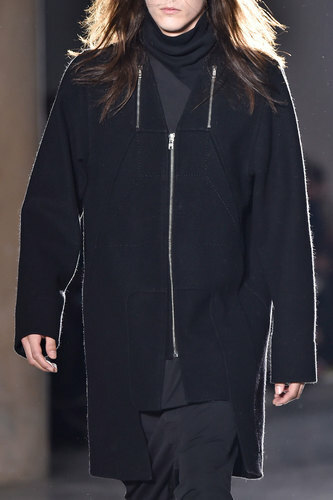 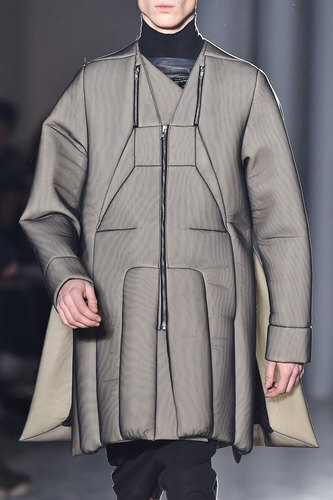 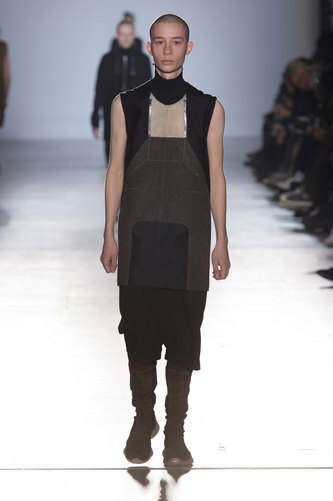 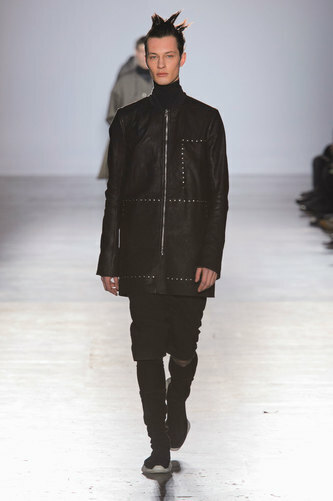 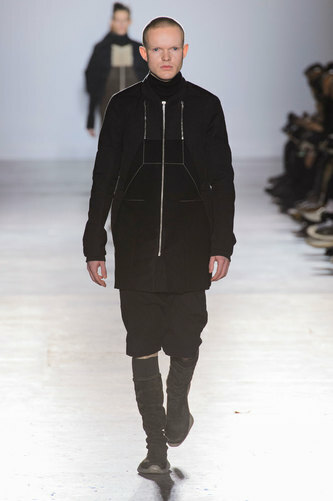 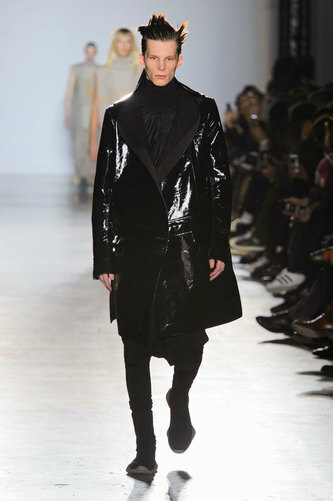 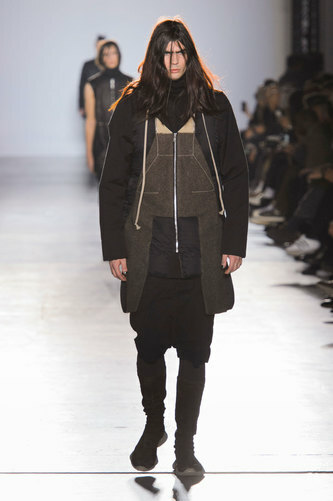 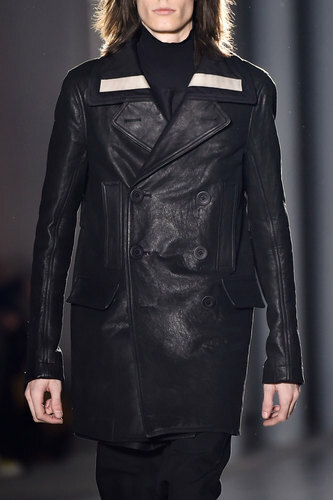 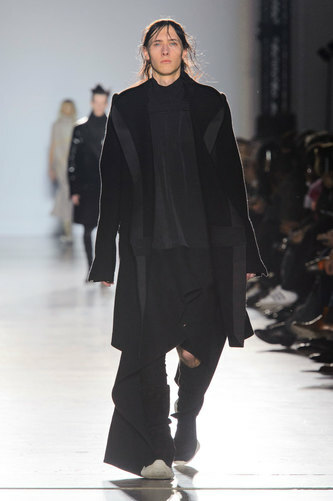 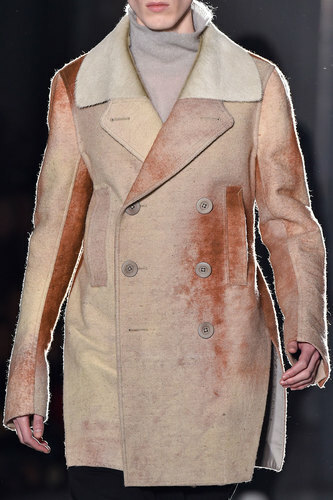 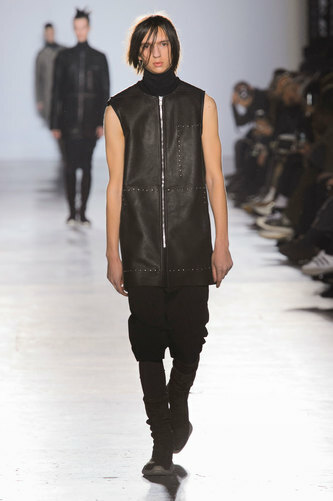 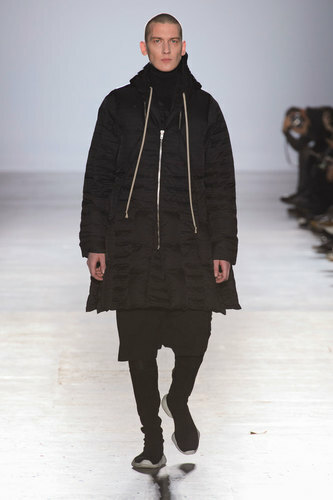 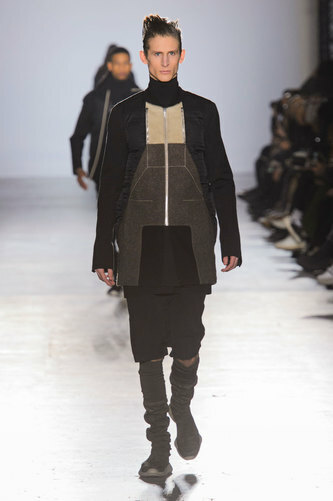 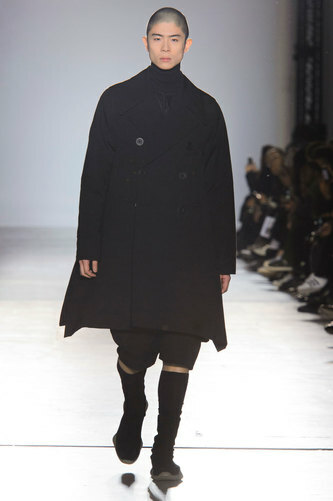 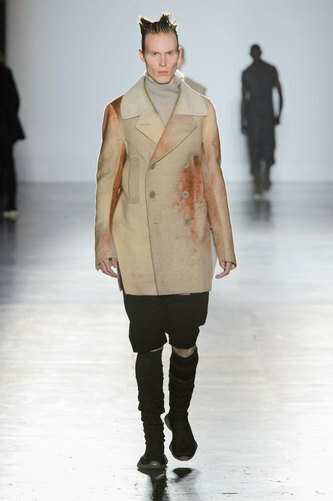 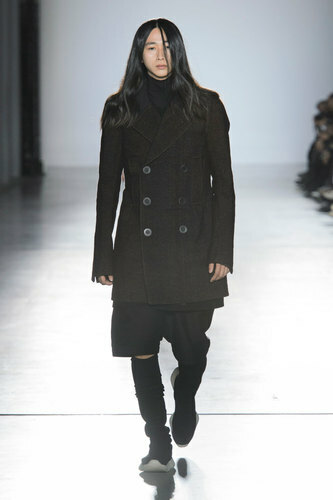 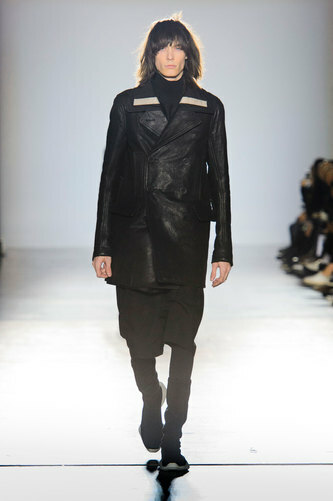 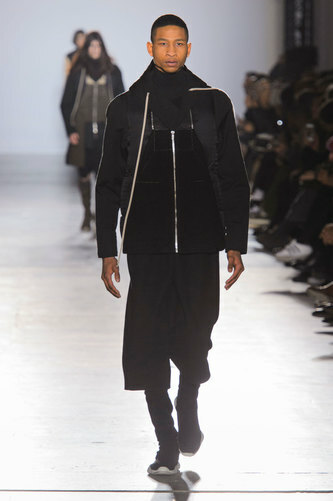 Rick Owens Man Autumn-Winter 2015-16 – Opting for a more indie- rock look comes the new line for Rick Owens; layers of polyester and leather creates a formal look with a cutting edge. 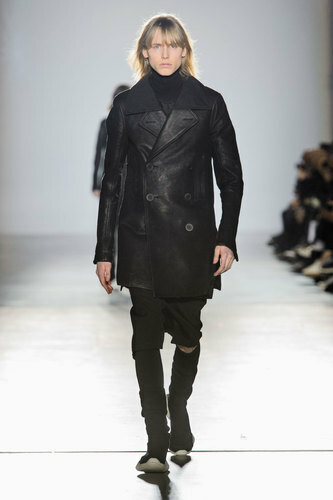 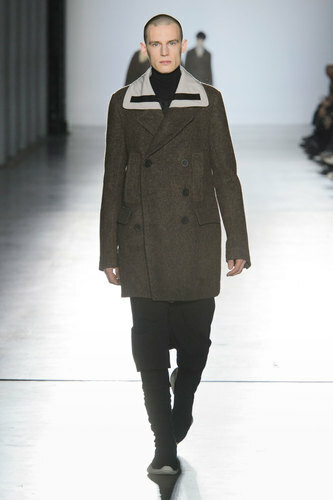 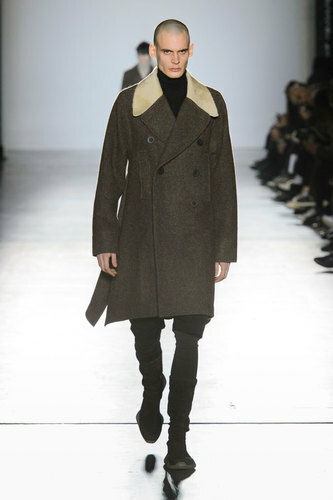 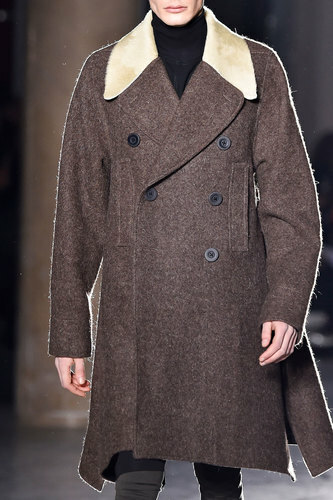 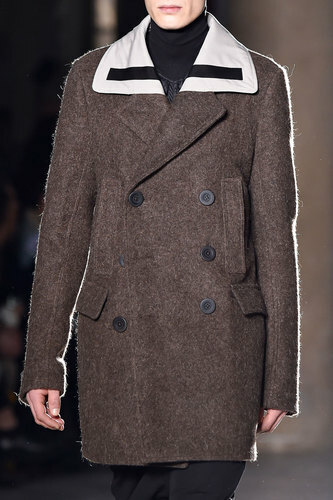 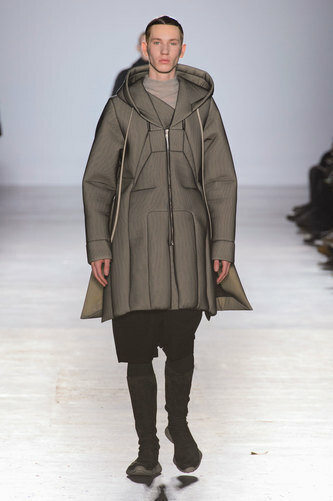 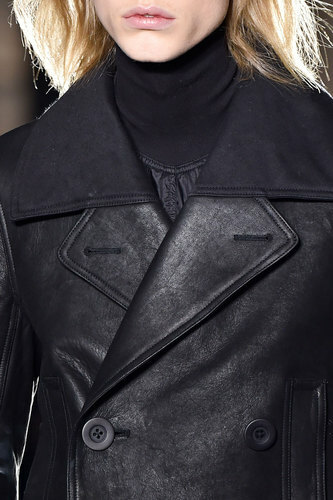 The heavy wrap over body from the jackets adds shape, whilst the open collar displays the bold look underneath. 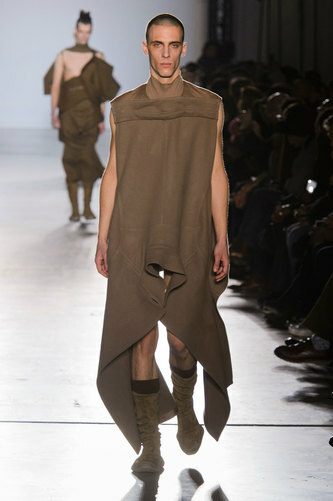 The high necklines and layered top half combined with oversized shorts creates the image of a vintage era. 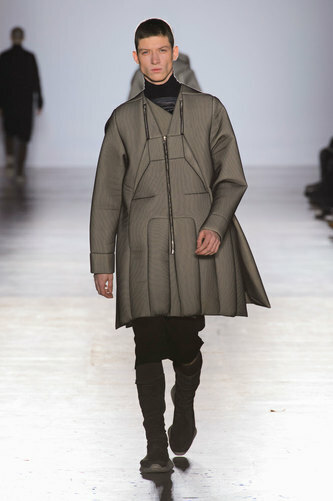 The baggy sleeve, despite not being functional covers comfort and follows the length of the jacket, making it appear and all-in-one piece. 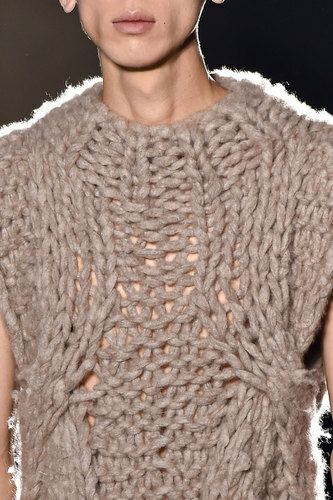 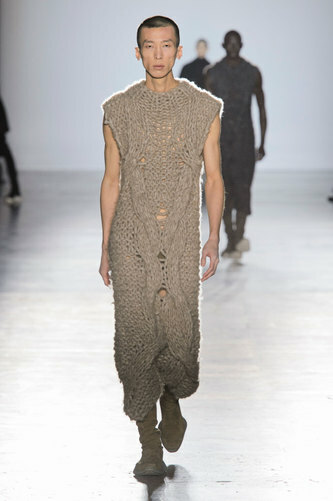 Chunky knit is also one to watch; head to floor cuts with a flattering neckline displays the male form in torso and arms; this outfit itself doesn’t need to be added with much more, due to the image, it completes itself. 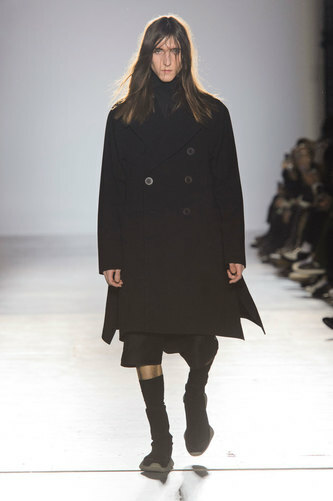 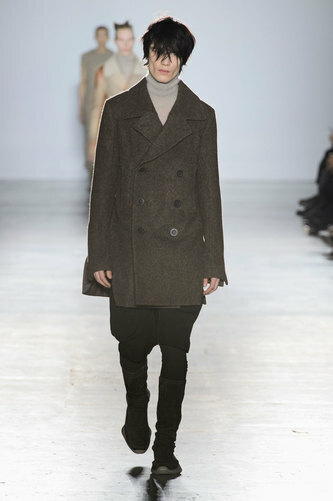 Team with calf-length boots for a simple but warm look. 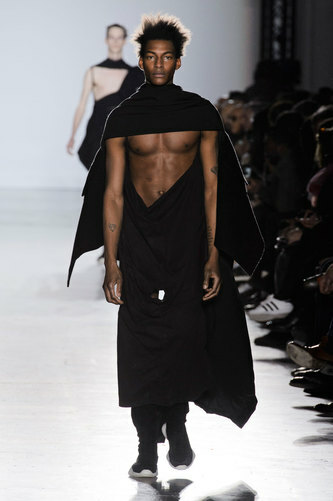 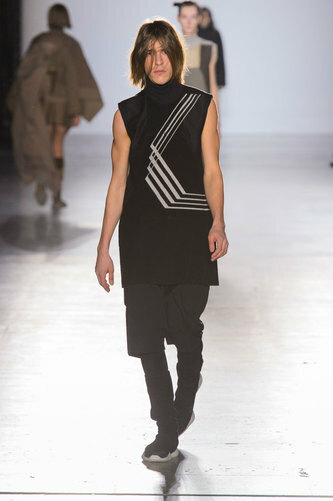 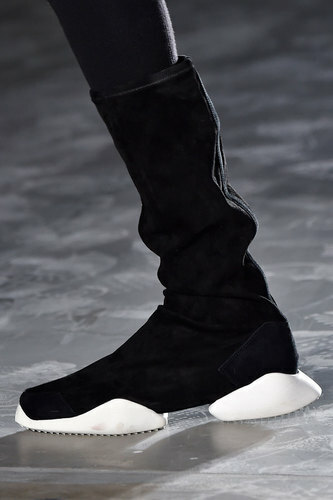 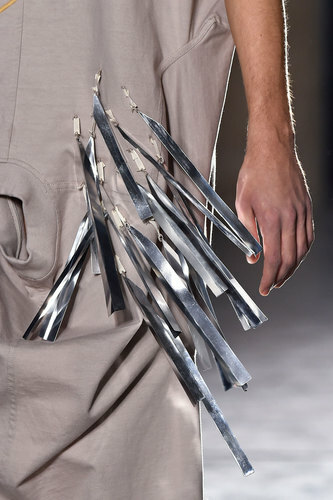 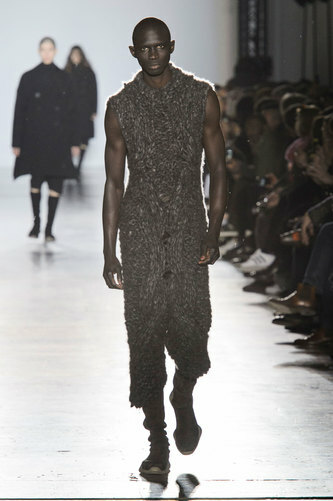 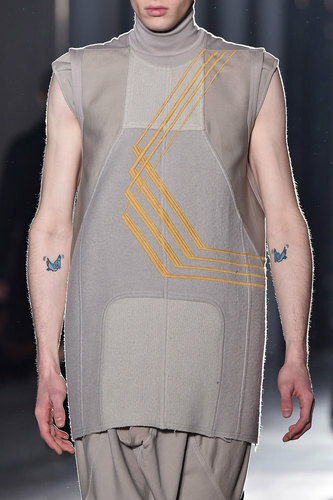 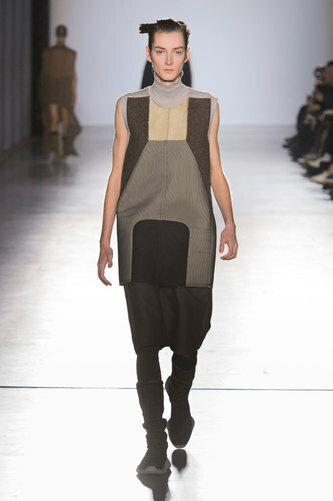 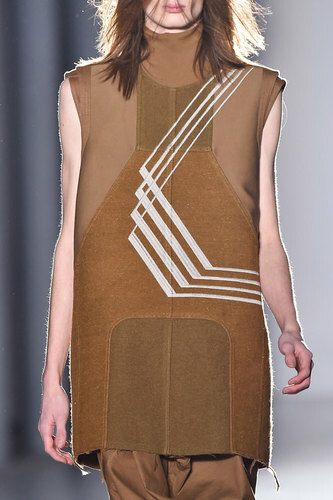 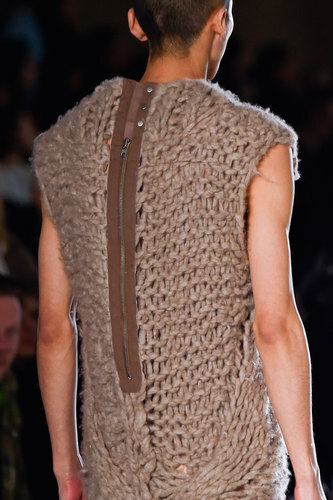 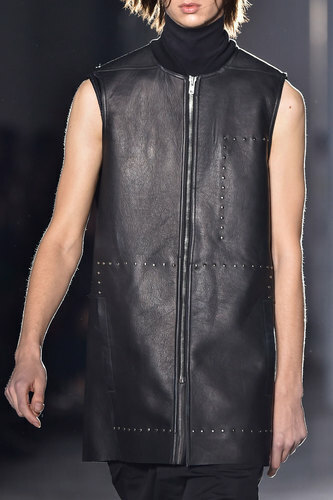 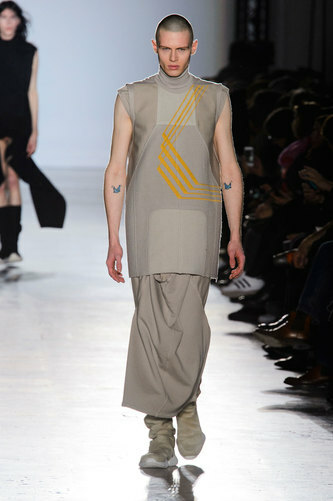 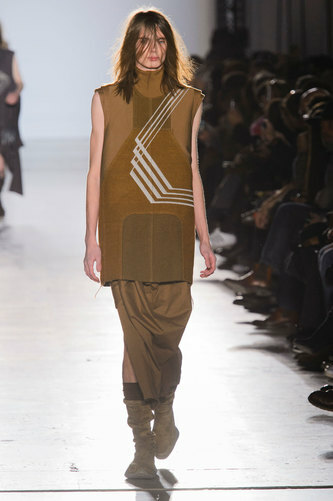 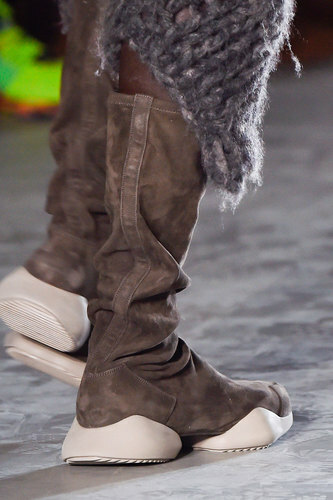 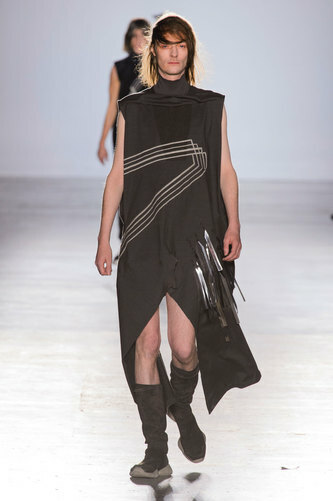 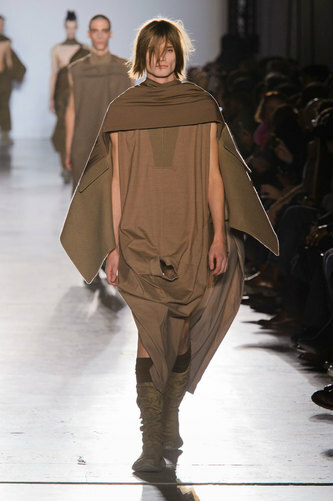 Display of the body is a key tone for Rick Owens this season, whether it be legs and wearing shorts, arms by wearing sleeveless, no-one was quite prepared for the display of the torso from a mid-length wrap. 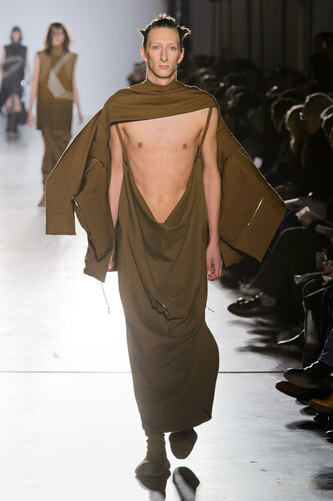 Draping shawls and blankets wraps for women has been made for women but has been re-enforced in styling men by displaying such features.